UKIP provided 33 out of 35 MEP appearances between 2013 and 2018 - despite having one of the lowest attendance records among MEPs. Pro-EU members of the European Parliament are set to meet a senior BBC news executive next week, in the wake of growing concerns over potential pro-Brexit bias. The cross-party meeting with Fran Unsworth – the BBC’s Director of News and Current Affairs – is due to be held next Wednesday in Brussels, Left Foot Forward can reveal. “The parties on #bbcqt are there because people vote for them in elections – not just Westminster ones. So sometimes parties will be represented by MEPs, MSPs, AMs etc. It’s not just about how many MPs they have but about broader electoral support. The @BBCNewsPR misses the point. It’s not about OVERALL balance, it’s that whenever the public sees an MEP on #bbcqt, it’s almost always a Brexiter, usually UKIP, leading to perception that UK MEPs are overwhelmingly hostile to EU. And those who know about EP are all on one side. “It’s clear the BBC’s concept of balance urgently needs updating. It is indefensible that viewers were served such a distorted view of the debate. “The BBC Press Team’s response to the chart which sparked the latest concerns is so lacking in awareness of the actual issue that it is not credible. There has to be a more nuanced understanding of the concept ‘balance’. Now MEPs are hoping to question the BBC’s head of news in person. “I have never been invited on Question Time but I’ll confess have not watched it in years unless a mate is on it. I have friends in the BBC and there’s a lot of quality journalists in there trying hard to make a decent shift of it. “We’ve invited the BBC to the European Parliament have an honest discussion about Brexit and how our main public broadcaster covers news relating to the EU. There is reportedly frustration among MEPs that BBC presenters have been unable to shut down incorrect claims by pro-Brexit figures, due to a lack of knowledge about the workings of the EU. “The EU has always been a pariah they don’t touch” – arguably a factor behind pro-Brexit sentiment, a Brussels source told LFF. 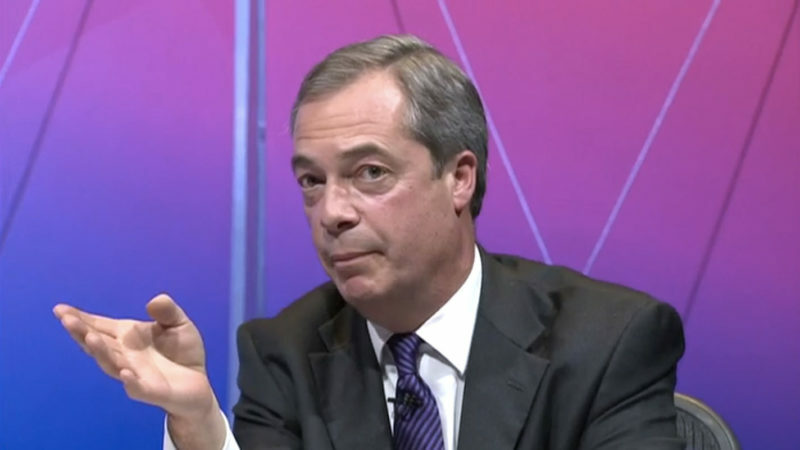 Allegations of imbalance on BBC Question Time are long-standing: three years ago pro-European MEPs raised complaints with the corporation’s then-head of political output, Robbie Gibb, during the referendum campaign. A Plaid Cymru spokesperson said they are not aware of ever receiving a bid for Jill Evans MEP to appear on the show.